Over the past few months, Business West’s International Trade Team has been busy. We are proud to be the largest business support organisation in the South West, and we’ve been plotting to stay ahead of the curve in order to continue to help our customers gain competitive advantage abroad, despite uncertainty about the UK’s trade position in Europe and beyond. Our latest move is to focus on the high-growth markets of China, India, Latin America and South East Asia to help local businesses make the most of these huge markets, and expand their global footprint. Integral to the success of this programme is our new team of market specialists; meet the four recent additions making a splash for South West businesses overseas. 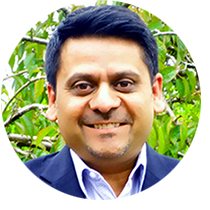 With over a decade of successfully managing engineering companies in Central Asia and South East Asia, Shozey is now using his extensive experience to help South West business. Shozey helps companies tap into the wealth of opportunities on offer in ASEAN, and uses his vast network of contacts and trade support partners to make vital connections in the region. ASEAN (Association of Southeast Asian Nations) is a single economic community of ten countries: Singapore, Thailand, Philippines, Malaysia, Brunei, Indonesia, Vietnam, Cambodia, Laos, and Burma. From 1st January 2016 these ten countries formed the ASEAN Economic Community (AEC) – a single-market based on the European Union model, to facilitate trade, investment and labour movement. ASEAN has the world’s second largest Facebook population. With extensive overseas experience in Mexico and over 20 other markets, Sarah advises a wide range of South West companies on their approach to selling in Latin America. 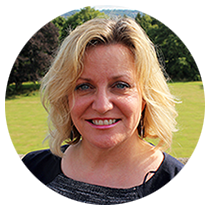 Having worked with small businesses and some of the largest UK firms (Aston Martin, the Wood Group) in the region, Sarah is well placed to help secure sales in the most efficient way possible. Sarah provides the link between local sector experts who can identify the right business contacts; help overcome cultural challenges and plan an effective business visit. Latinos very much prefer to do business with people they have formed a relationship with, so working with this level of support can help you tackle the challenges and make the most of opportunities. Sarah works principally in Brazil, Mexico, Chile and Colombia. Opportunities in Latin America are broad and cover most sectors, but companies with competitive food and drink products, new technologies in healthcare, and engineering sectors will find ready markets. It can take time and it is rare to secure sales without a visit, but having the endorsement of a recognised expert on the region will help you build sustainable sales. Germany currently exports 4x that of the UK to the region, indicating huge potential to for British companies to grow trade with Latin America. Ameeta Virk is our resident India Market Specialist; she consults South West companies on their market entry and expansion strategies into the Indian market. 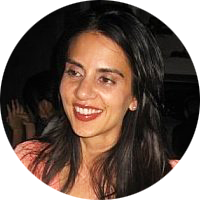 Originally from California, Ameeta has worked in a range of sectors, including interior design, English Language teaching in Spain, China, UK and the USA, and pharmaceutical sales with Takeda Pharmaceuticals and Johnson & Johnson. Upon moving to the UK, she co-founded an ecommerce company focusing on the eco childrenswear market. After selling the company in 2013 she consulted for a portfolio of designer childrenswear brands seeking to enter the UK marketplace. India is one of the fastest growing economies in the world, and the UK is its third largest investor. In 2014 £8.59 billion of goods and services were sold to India from the UK, with key sctor opportunities across advanced engineering, manufacturing, education, and food and drink. 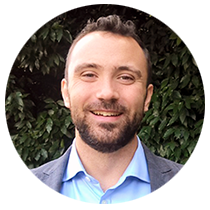 With a proven track record in helping foreign companies of all shapes and sizes succeed in the Chinese market - from his time at North Head, a boutique strategy consultancy in Bejing, and the Chinese-Britain Business Council – Jonny is the perfect fit as our Market Specialist for China. He holds a masters degree from Peking University in International Relations and can also speak Chinese. In his spare time Jonny enjoys organising events for local sinophiles in Bristol. China will account for roughly 1/3 of global GDP growth over the next 15 years and the average household’s disposable income in China will reach $8,000 by 2020, roughly equivalent to South Korea. The time is now when it comes to exporting to China. The size and level of development of the Chinese economy mean that the type of goods and services produced in the UK match up very well with what is in demand. China is no longer a market to be overlooked. The Extend your Global Reach programme is aimed at supporting high-growth companies in the South West who have ambitions to expand their export activity. Under this programme, there are four Market Specialists appointed to drive growth into the more challenging overseas markets – China, India, ASEAN and Latin America. The programme provides around 12 days of fully-funded intensive consultancy support to ensure that the company is fully informed of the opportunities in the selected market; that they can manage the risks; price points and likely sales are fully analysed and that the company has a comprehensive marketing and sales strategy. This bespoke programme is supported by The Department for International Trade South West, the European Regional Development Fund, and delivered by Business West and is designed to achieve export sales in a shorter than normal timeframe. Business West’s in-market delivery partners provide additional support and will accompany South West companies on business development visits if required.